You can call me "The Bag Lady...." and I won’t be offended. For years, I have traveled the world, both as a flight attendant, and as an adventurer, always looking for great ideas to make travel and life better. 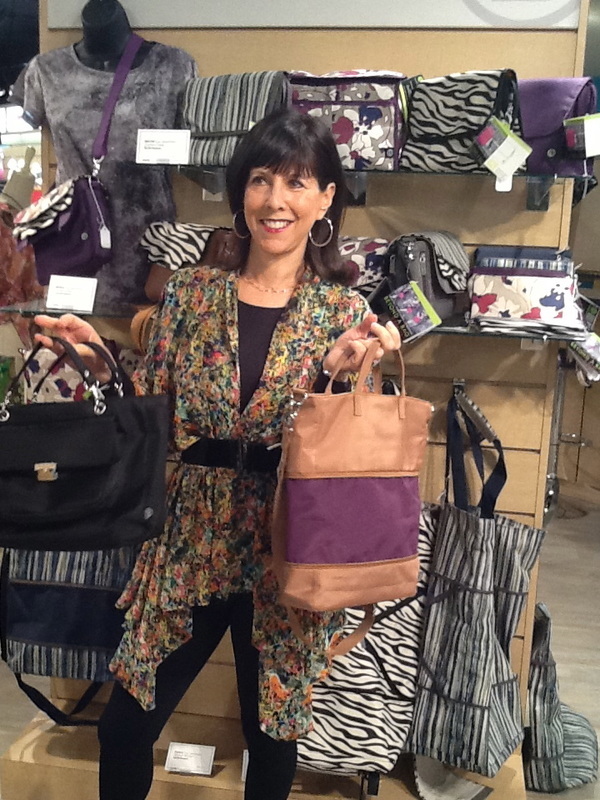 I've been designing innovative bags for over 20 years and I have personally sold over a million bags on QVC alone. As a professional traveler and on-air spokesperson, I can show anyone the best way to pack that bag, too!! All my bag designs "multi-task" for maximum use of space and time. An expert in Travel and Invention... I have personally sold hundreds of innovative products and travel designs on-air, mainly at QVC in the U.S. and U.K . As the on-air spokesperson for hundreds of items, and as the past Director of Television Marketing for a large inventions company, I have helped many other people bring their dreams to fruition. My travel bags are Beyond A Bag™... For the last few years I licensed my bag designs to Ganz, a large gift company. True to form, that deal was transacted when I sat next to Ganz's VP of Sales on a transcon flight from New York to Los Angeles...the airplane is my office! I'm excited to say that I have some new and fantastic bag ideas in store! Look for them on TV in the very near future!! The KareBagtm is a special bag I created to help hospital patients "keep things in reach," and make the hospital stay a little better and safer.